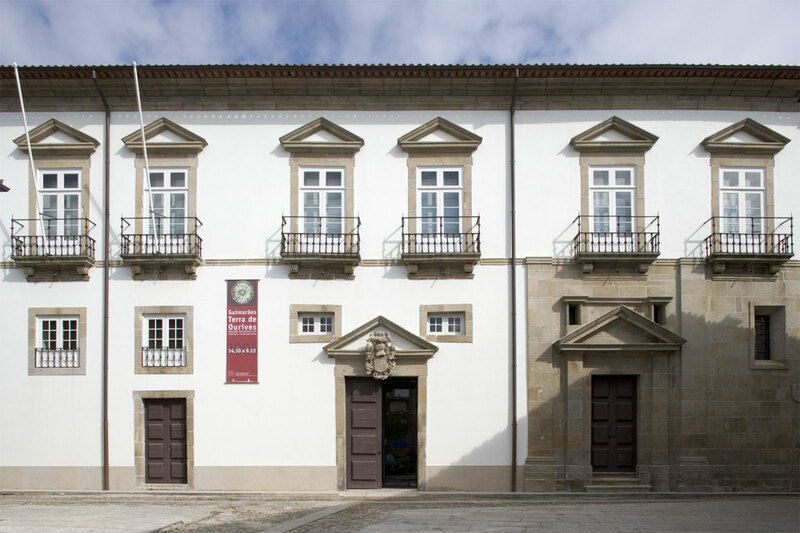 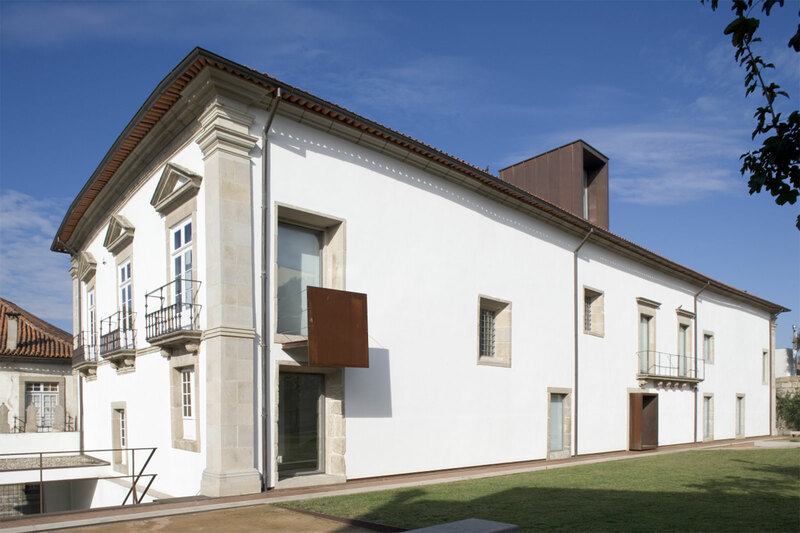 The Alfredo Pimenta Municipal Archive is visibly constituted by a single building, the Casa Navarros de Andrade. 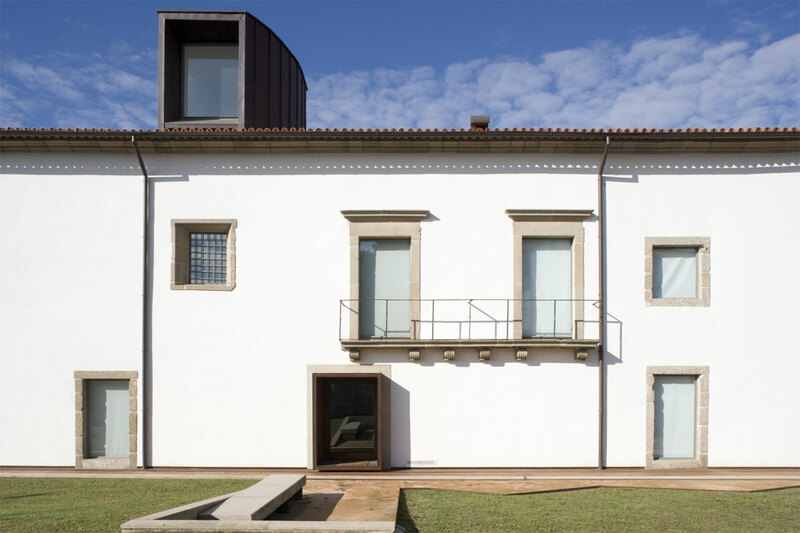 In its volumetric tranquillity, now reinforced in its manneristic expression with the “cleanness” of its rounded areas and the addition of pilasters in the back rooms, the Casa definitively closes off the unit. 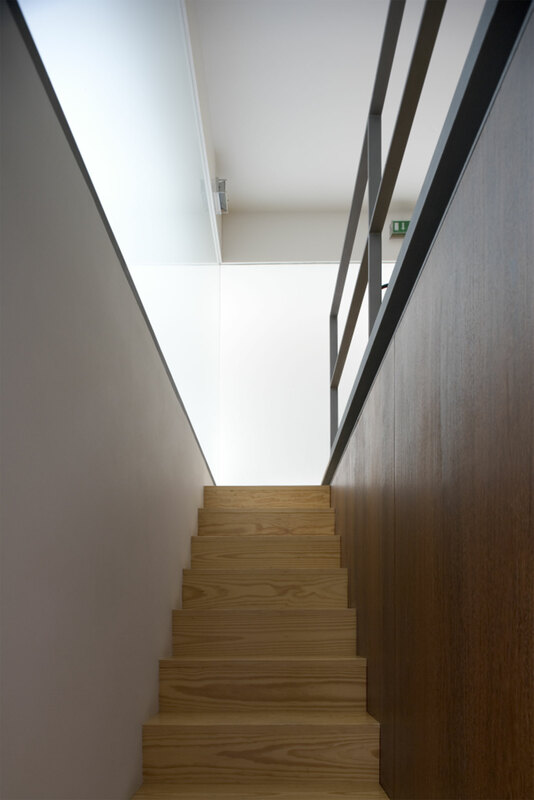 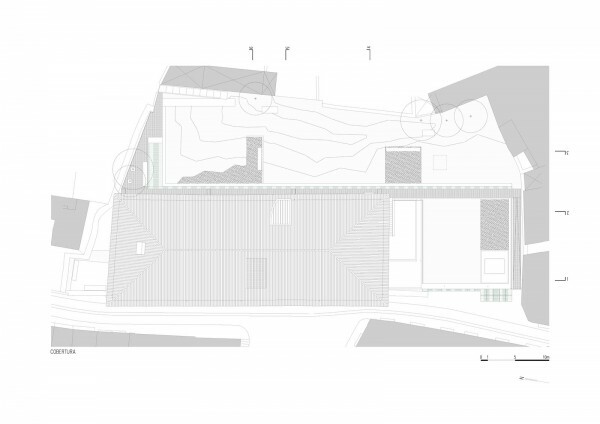 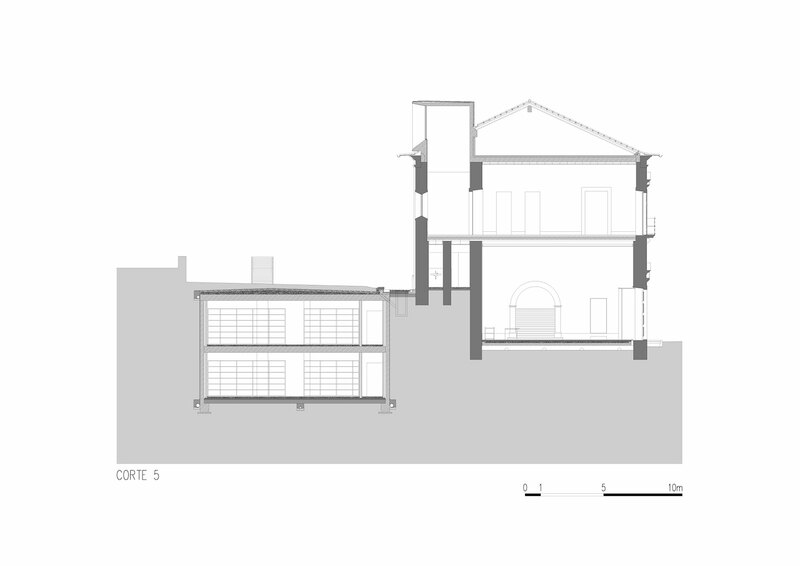 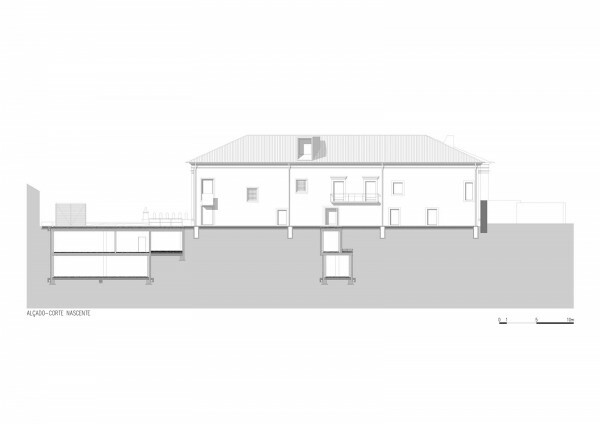 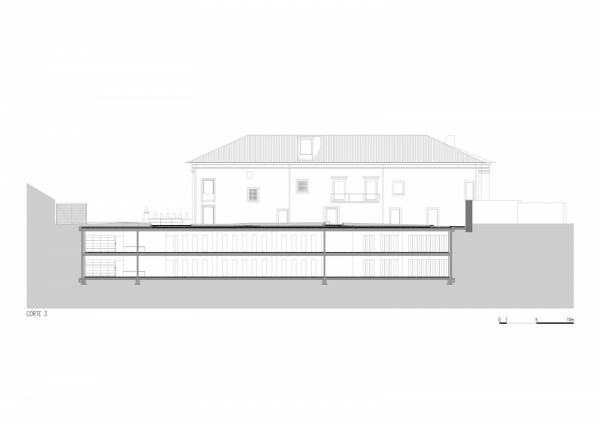 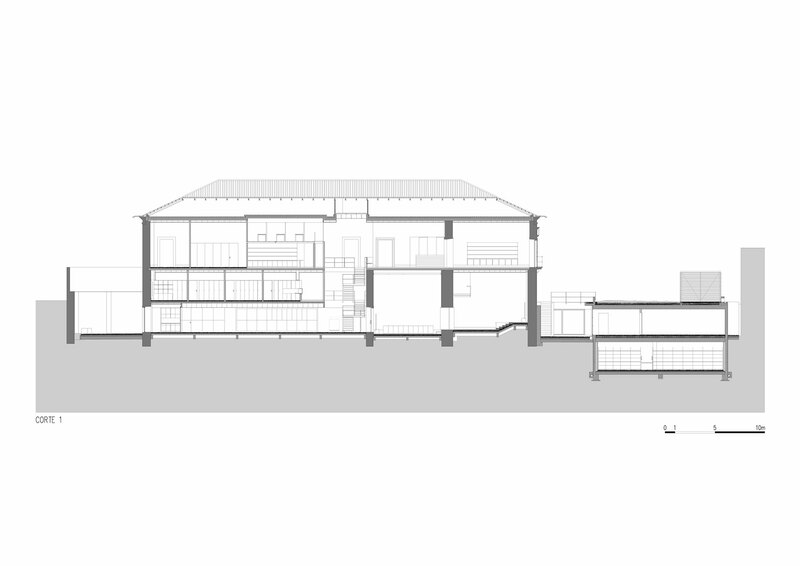 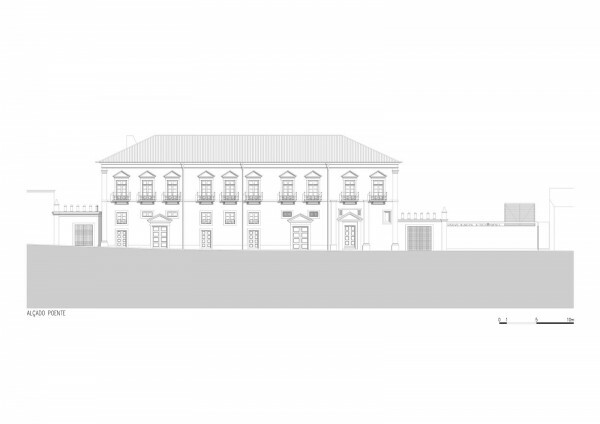 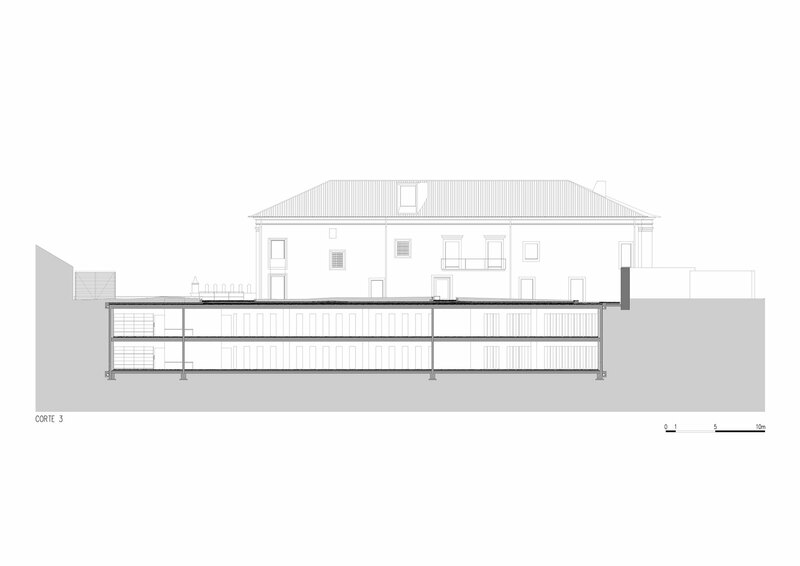 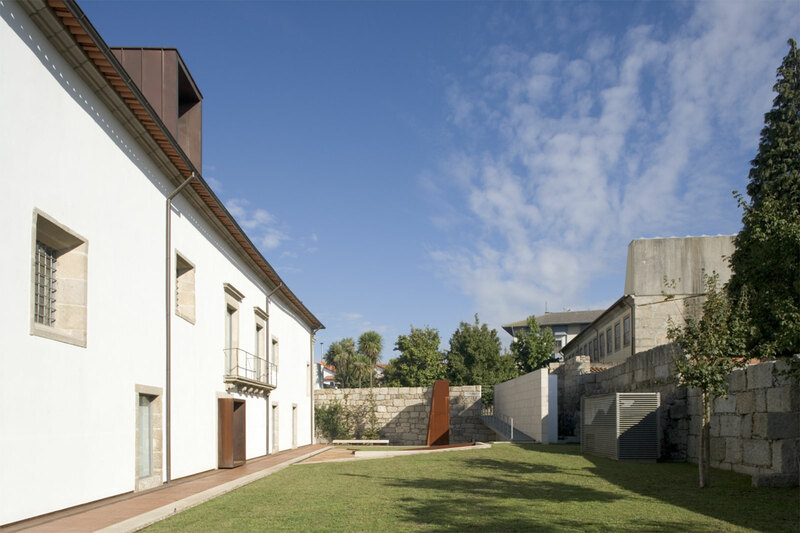 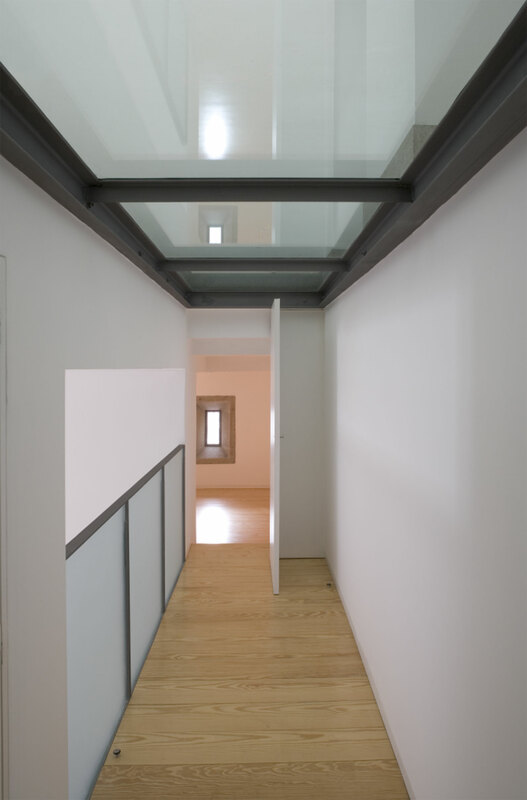 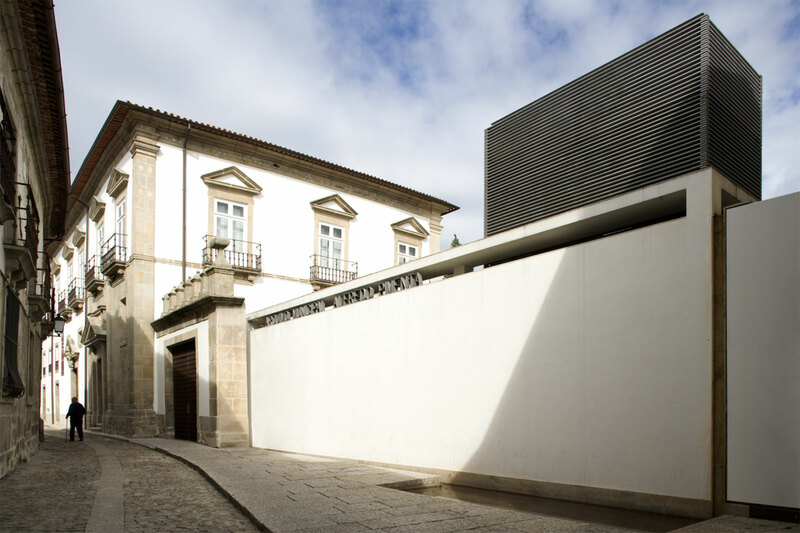 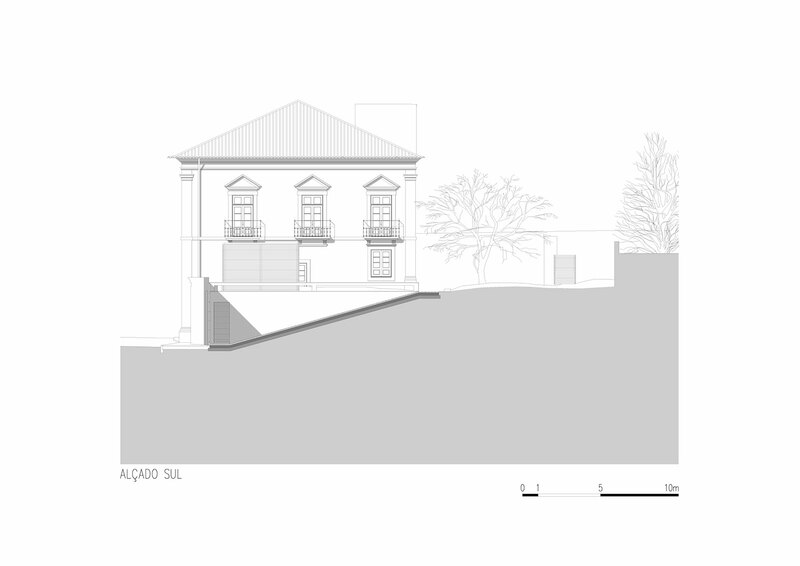 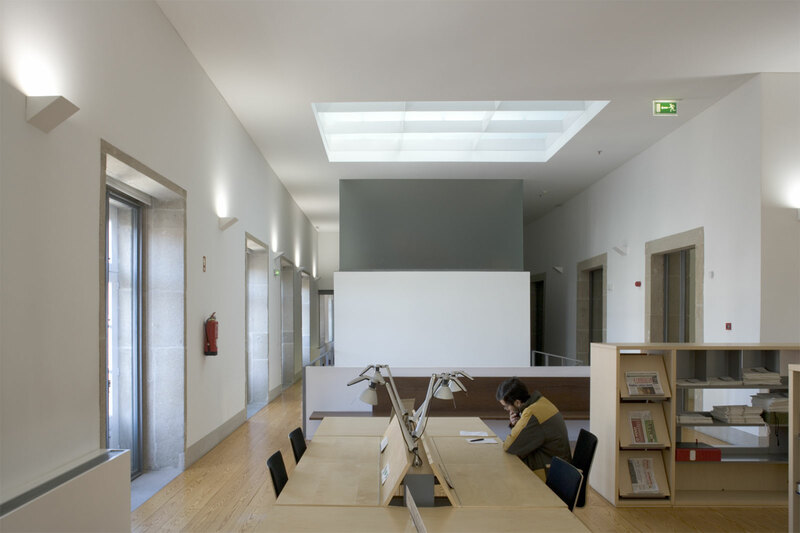 It is always considered important to distinguish the project in two fundamental aspects: the renovation of the original size of the Casa dos Navarros de Andrade, removing the elements which impaired the linearity of its visual reading; and the renovation of the site area, as a space to be used by the public and transforming it into an exterior area for public use. This would contribute decisively in the reclassification of the historical centre´s urban space, and would be one step further in the direction of transforming the interior of the quarters and of its appropriation by the City. 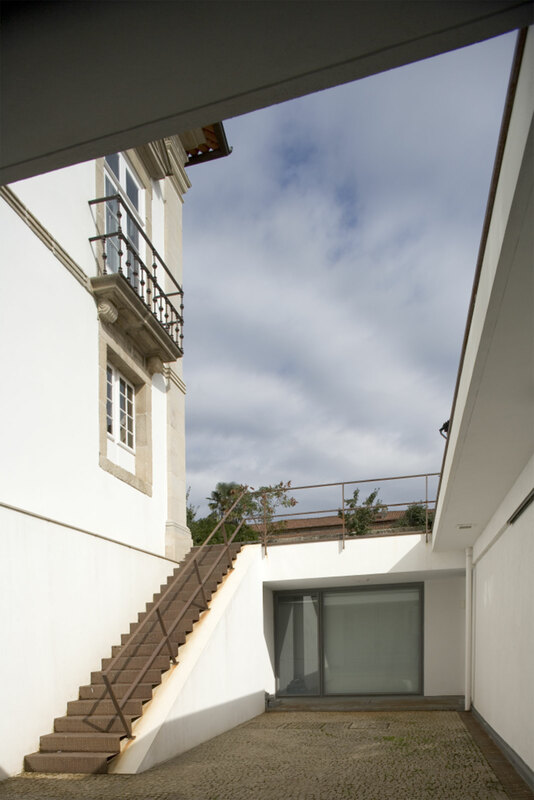 Outside, little was added, only a window slit which illuminates the upper staircase entrance to the public, a balcony and a door in the shape of a box, which crossing the back wall of the building, emphasises its relationship with the site. 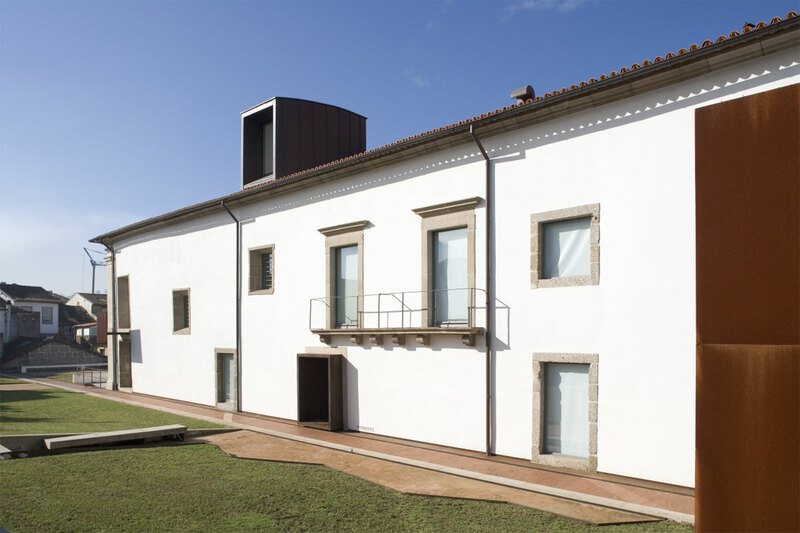 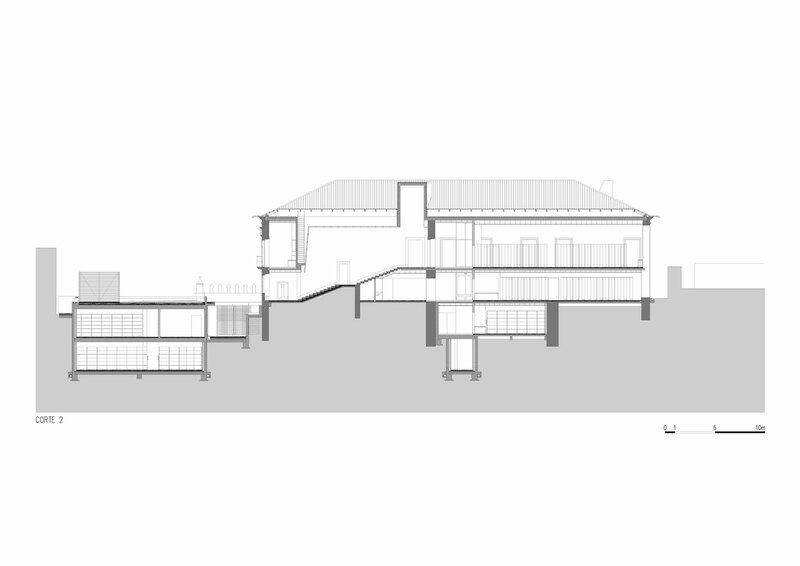 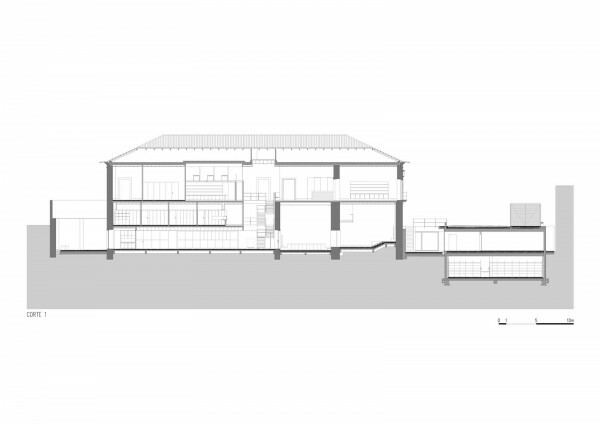 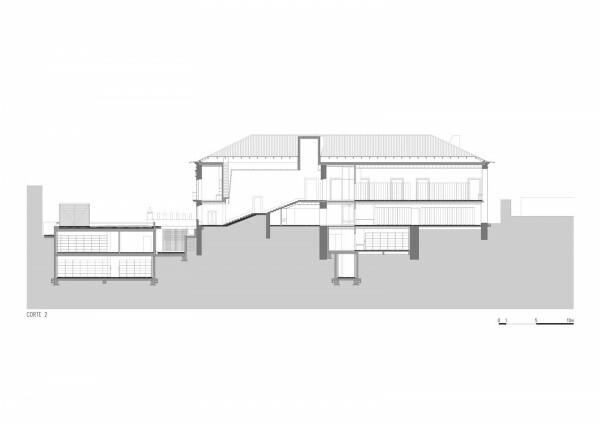 These elements establish a new balance in scale, proportion and design with the existing fenestrations, reinforcing its vernacular and dissimilar character. 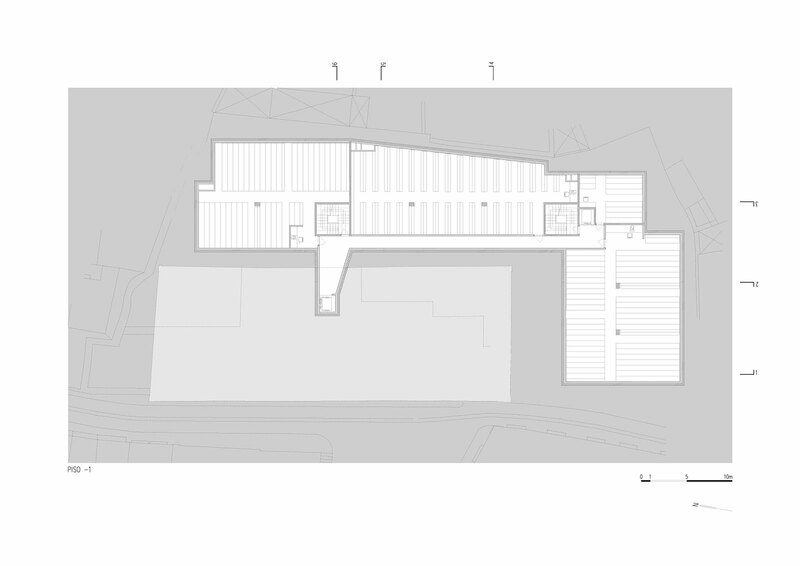 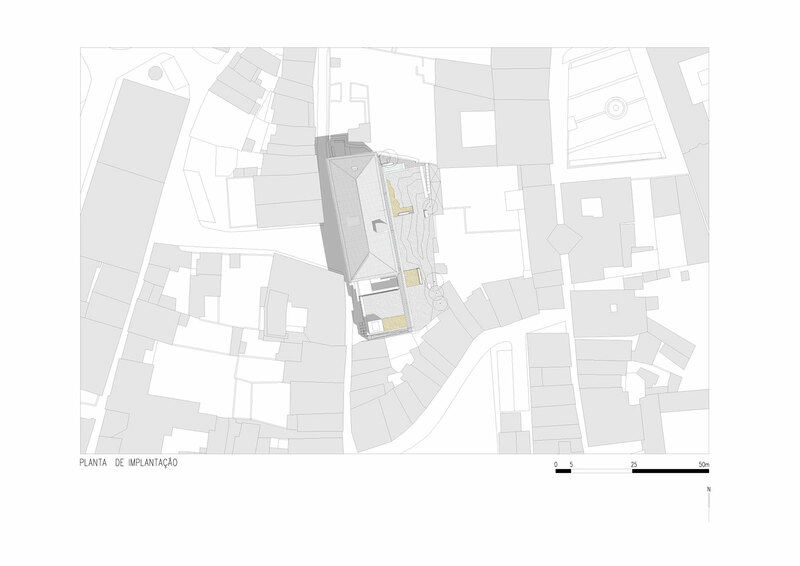 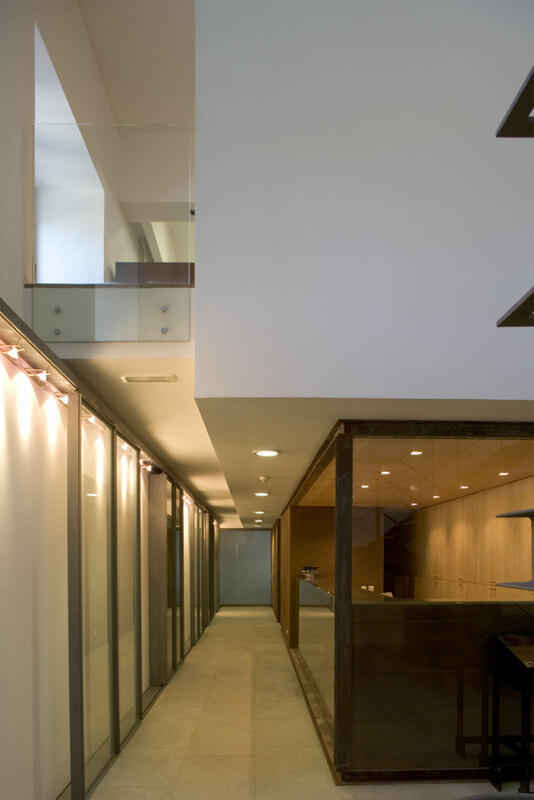 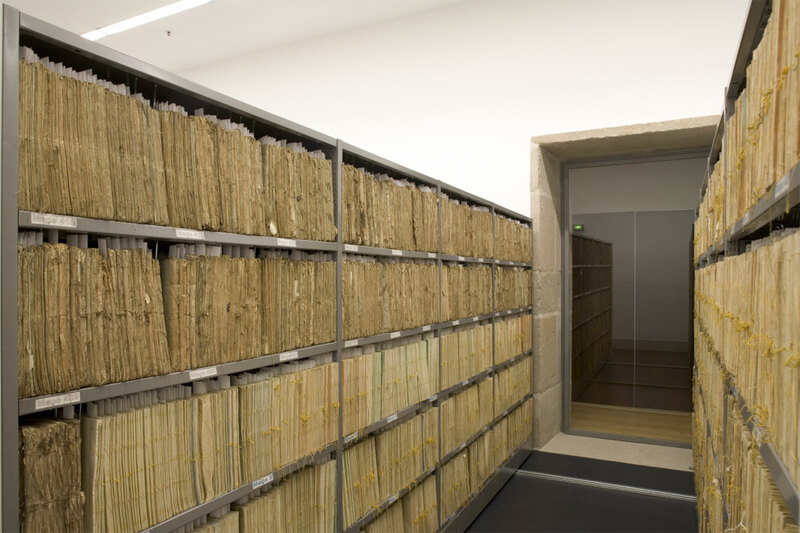 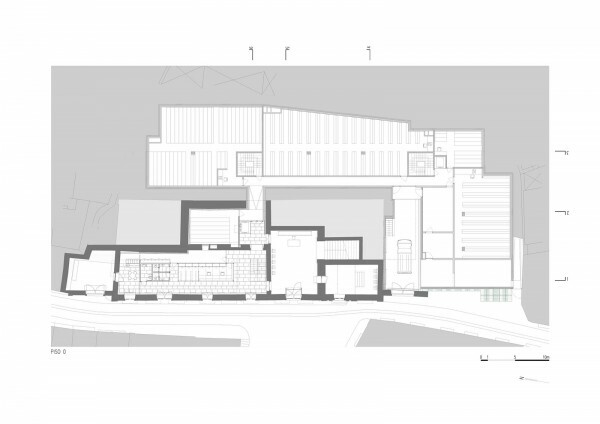 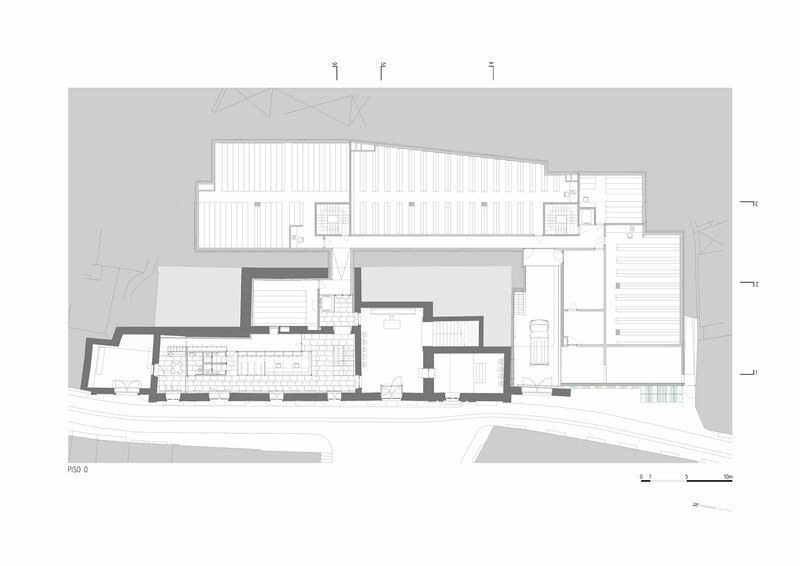 To begin with, the remodelling programme and reconfiguration for the Archive required the construction of new areas in the basement, which occupy practically the whole area of the site. 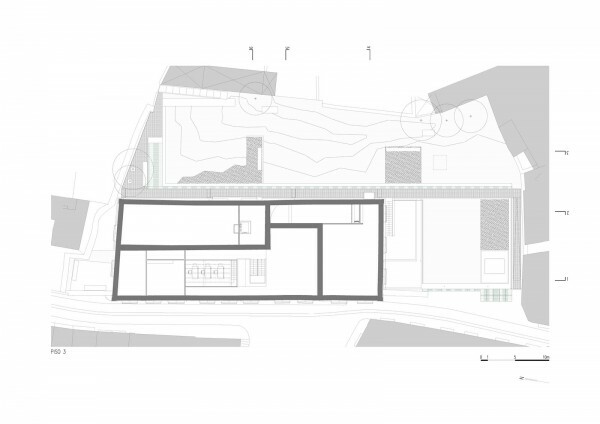 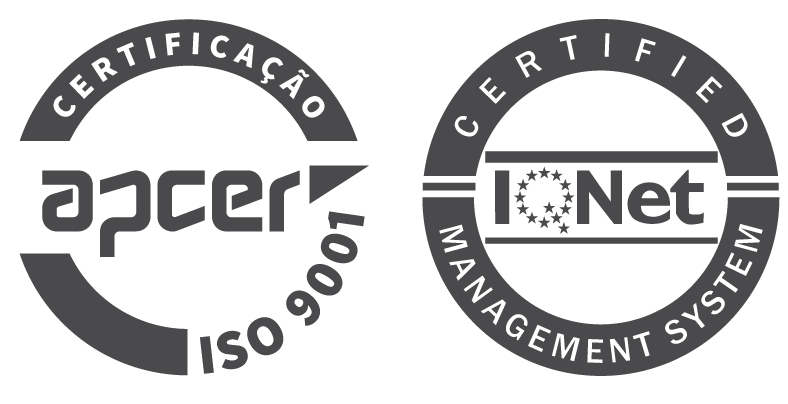 We think that beyond the constructive simplification and costs limitation, a clear approach to inherent methodological concepts to the elaboration of this project was achieved, underlining its functional and constructive coherence. JOSÉ CUNHA, arq. , CARLOS MAIA, arq. 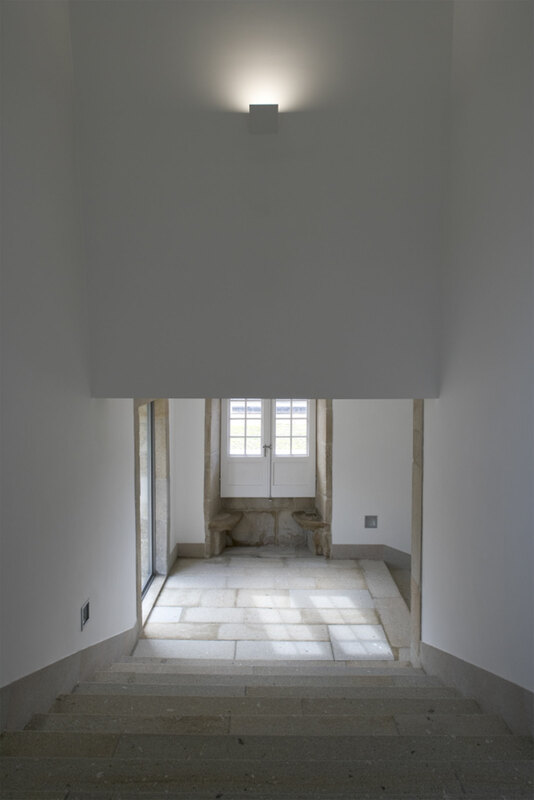 , JOÃO COUTO, arq. 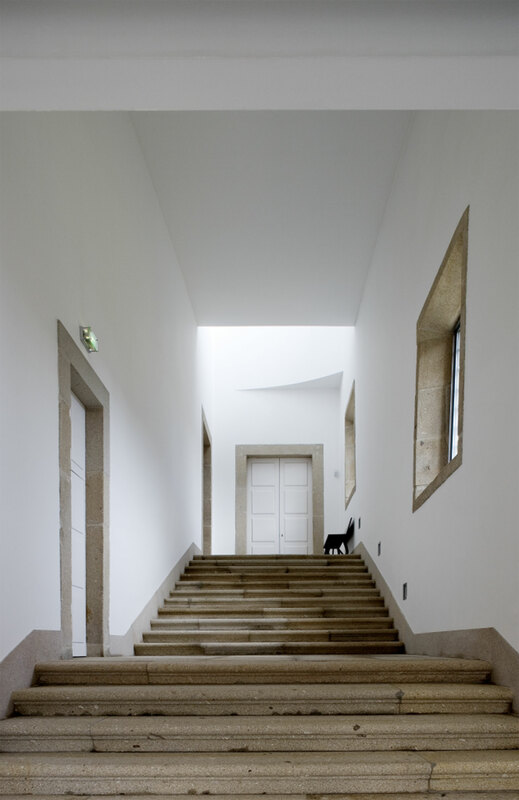 , FRANCISCO OLIVEIRA, des. , HÉLIO ALVES, des.